The Arboricultural Association has announced the full line up of 34 speaker sessions for the 52nd National Amenity Conference titled ‘Soils & Trees – Standing your Ground’. The schedule includes 10 prominent international speakers, who will take delegates on narrative journey through soil science and trees, and help us get serious about soils. Mondays’ sessions will be delivered by a diverse range of experts including the acclaimed Professor Lynne Boddy, a regular guest on BBC Radio 4 and numerous TV programmes, as well as Sir Tim Smit renowned for his work on the Lost Gardens of Heligan and the Eden Project. Beginning with the natural environment we’ll hear evidence of the impacts on soils health, nutrients for trees, fungi and soil and their implications on tree health. Tuesdays schedule delves into how soils science can affect planning and solutions. Leading specialists will guide us through establishing and managing trees, including Ancient Tree Forum founder and president Ted Green, Professor Andreas Roloff, presenting tree species selection decision tools and Dr. Andrew Hirons speaking on species selection for urban environments. The Arboricultural Association Award for continued contribution to Arboriculture will be presented on the Tuesday evening. Wednesday will focus on the way forward with a series of engaging talks presenting evidence and research that can help us remediate some of the issues discussed. 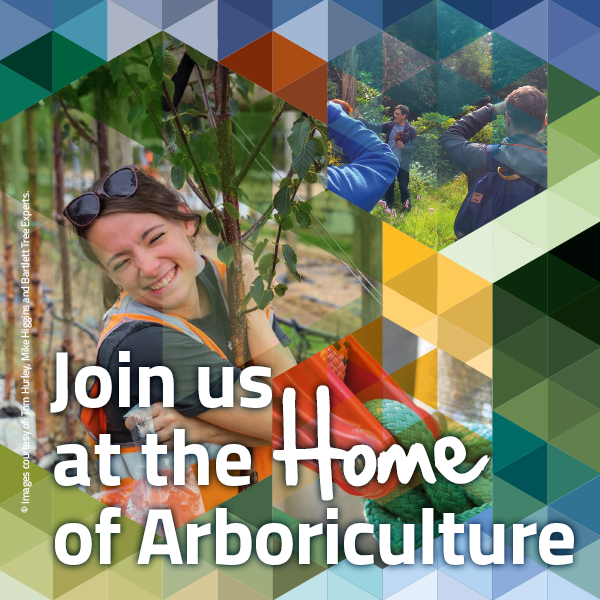 They include 2017 Arboricultural Association Award winner Dr. Glynn Percival and urban green space expert Joris Voeten presenting Urban Roofscapes.